Do you know that tires have a maximum tire speed rating? They do. This isn’t a big deal for passenger, light truck and motorhome tires because they usually have a MPH rating well above typical highway speed limits. However, nearly all Special Trailer (ST) tires used on RV travel trailers and fifth wheels have a maximum tire speed rating of just 65 MPH. You can drive faster than 65 MPH but in order to do that, you need to increase your cold inflation by about 10 psi (without exceeding the maximum PSI stamped on the tire) for every 10 mph over 65 that you are going, as well as decrease your load carrying capacity by 10%. So, for example, a Carlisle ST225/75RR15 Load range E (10 ply) tire, has a load carrying capacity of 2830 lbs at the tire’s maximum 80 psi. But you will have a decreased load carrying capacity of 2,547 lbs to drive at 75 mph. If you’re maxing out the load rating of your trailer’s tires it’s imperative that you keep your speed at or below 65 MPH. Driving faster will, at the least, shorten the life of the tires and may result in tire failure on the road. What I’d like to have, and would be willing to pay for, is the full 2830 lbs load carrying capacity of the LRE tires and be able to drive at a more reasonable speed. 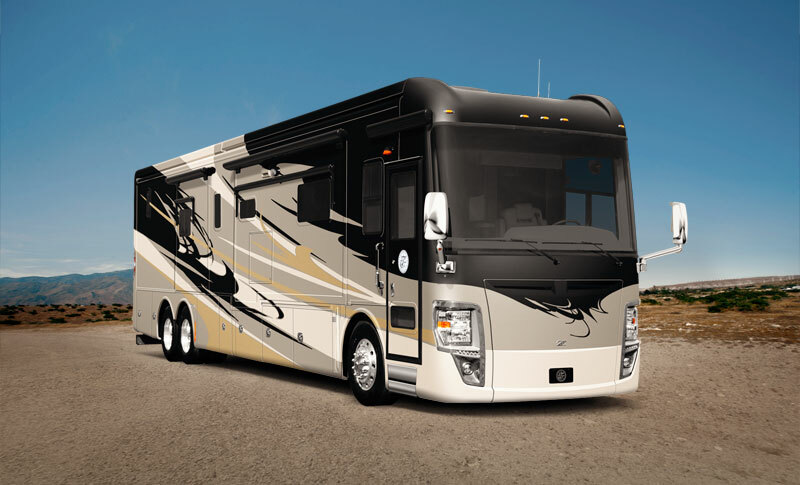 Tire manufacturers should realize that RVers aren’t pulling 1960’s travel trailers anymore. 33 Responses to "Travel Trailer Tire Speed Ratings"
There’s no need for a TT, or any RV for that matter, to be driving over 65 anywhere, anytime. What do you consider a “more reasonable speed”? Of course that’s a matter of opinion rather than fact. There are many RVers who tow their travel trailer faster than 65 mph whether or not you believe it’s necessary. For example, in many states the maximum speed limit is 70 mph on major roads. But you’re mostly missing the point. 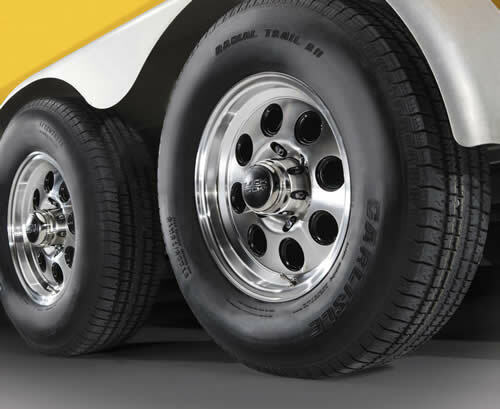 With many Large travel trailers and fifth wheels equipped with ST tires the load ratings are very close to the GVWR of the trailer so you’re always working the tires at their maximum capacity even if you do not exceed 65 mph. There simply isn’t much of a ‘safety’ factor built into a tire with a 65 mpg speed rating. For example passenger car and light truck tires have maximum speed ratings as high as 120 mph even though the speed limit is much lower. That higher speed rating provides a big ‘safety’ factor and I believe is why we get many more miles out of our pickup, towed and motorhome tires than we can expect from our ST trailer tires. 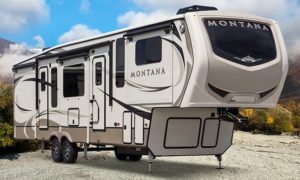 I’ll concede that for most RVers with travel trailers all this is not an issue since they use their trailers for short vacations once or twice a year. But manufactures ought to make tires for those of us who are full time RVers and put thousands of miles on our rigs each year. And that all I’m asking for and I’m will to pay a premium for such a tire. I’m tired… no pun intended… of worrying about tire failures on tires with plenty of tread left on them simply because I can’t buy ST trailer tires with load and speed ratings sufficient for my needs. you are totally correct. trailer tires are horrible, too much weight for underrated tires. also, tires set to much usually at full tire pressure, then go on that to week vacation and watch out, your asking for a blow out. ive had two, best advise, keep tires new or upgrade to a bigger rim with a higher load capacity tire.good luck. I was traveling on the Interstate at Interstate speeds with a 32 foot Keystone RV trailer. The trailer has 2 tires on each side. The lead tire ruptured, split in half radially and blew the tread loose. The tread ripped apart and took out the weather and water protection guards above the wheel wheel and on either side before I could get to the side of the road. The steel belt wires grabbed the #8 green wire ground bonding wire and an unknown white #6 white wire and wrapped them around the wheel. They were pulled out of the power center and battery charger. Water pipes running to the front of the trailer where the kitchen is located were also damaged and the metal side of the trailer was pulled down. Quite a problem. I was able to get the siding refastened temporarily, get the tire changed and make it to our intended camping spot. All the tires were proprely inflated and had about 3,000 miles on them, lots of tread. My main mistake was not realizing the tire speed limit or need to over inflate the tires to travel 75 mph. I believe these are very good issues to comment about, some of us new trailer owners learn the hard way. Keep in mind that you should not really over inflate the tires, that is to say never exceed the maximum pressure stamped on the side of the tire. Lighter trailers… under the maximum load capacity of the tires… can travel at speeds over 65mph if the tires are inflated to compensate for the faster speed. The problem with that is you’ll no doubt ‘crown’ the tires and cause uneven tire ware. Also keep in mind we are talking ST (special trailer) tires. LT (light truck) tires sometimes used on heavier trailers may have the same load ratings size for size as ST tires but will have a much higher maximum speed rating. There is no dought in my mind that the Chinese have put one over on us. They are sending us defective st tires to the US. In fact, the last 2 ST Goodyear trailer tires I got from blowouts (in one month) at 60mph (52psi) and mfg defects were replaced by Goodyear with new recently manufactured Goodyear ST made in the USA! Imagine that. I am pulling a 33′ bumber pull. I always worry about tire failure. Low milage on tires, with bunch of tread can go “BAM”!. I pull @ 56 mph. because of the ratings and, who the heck should be in a hurry camping. Nitrogen is all I use in all my tires. I keep the tires balanced too. I generly run a psi slightly over the lowest rating recommended but will bump up to almost max,if heavy, and a long pull is coming. I beleive in keeping the tires parked on cement when not in use, out of sunlight. When camping I take a minute and park on the plastic/wood decking 2×6 scraps I came across. I pull a dozen times a year. Seems age and sunlight is my worst enemy. Bigger trailers, buy a LT tire with stiff walls. Each stop feel the hubs for heat and inspect the tires, both with your eyes and hands. This will help with a peace of mind and help spot a problem. Get this,,,I don’t even carry a spare. One blows, 4 new is in order. The spare will age just like the ones on the ground. Better carry a 20/30 ton bottle jack if you are thinking about changing a tire. After 3 blowouts on my Goodyear ST tires and $6000 damage to my undercarriage I am looking for a quality tire. I was not speeding, but 100 degree temp. was a contributing factor. The tires had less than 5000 miles on them. i have only been rving for the past 11 months on a full time deal. 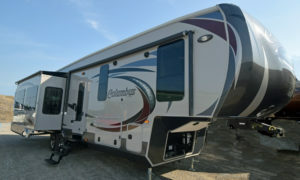 I had my first blow out last month on the lead tire of my Jayco 5th wheel (34′). I have traveled in excess of 75 mph sometimes because of my distance. I was told by the tech at the tire place that I should not drive faster than 65 ever…… I don’t always drive that fast but have been known to kick it up several notches on those long empty country roads. I did not have a jack to change my tire so called someone who was 50 miles away and of course it was a sunday and it cost me $391 to have tire changed with my own spare. Now lol lol I have ERS, for about $100 year i could have saved some bucks here. I have it on my truck but when tow rv no get coverage. Any whooo i guess for me I should drive like my dad….. well not that slow I guess…. Like anyway I am retired so why the heck I in a rush anywhoo?? Life is too short to rush it. Mahalo and see ya all……..
ps got five new tires even though only had 4,550 miles on factory tires. Dealer said company give you tires to tow only about 10,500 pounds and of course max weight of trailer is 10,500 so they setting you up to tow at the maximum anyway…. Look, IMO, the issue is not ST tires per se; it’s usage. If your trailer GAWR is 12,000 and you pull it loaded at all times at 14,000 are you gonna call your Momma and complain that it didn’t last and the manufacturer ripped you off? Stop driving your ST’s above 60 (allow a safety factor, nothing runs maxed out continuously forever)and you won’t have a problem, Chinamen or not. What you say is true in that ST tires are what they are and we need to abide by their specifications. My argument would be that tire manufacturers need to build tires the better reflect the needs of today’s RVers regarding trailer sizes and highway speeds. An alternative solution would be for RV manufacturers to install LT tires and wheels on larger travel trailers. a friend of mine bought some second hand tires and ignored the fact that they had a very low speed limit (don’t know it by heart). He was rushing down the highway and boom one of them exploded. If the ST tires are have so many blow out problem why don’t you run LT tires on the trailer? My Alpha Gold 5th wheel came with 235 85 r16 and they are the same as what is on my dually. I have not had one problem with the tires and they are 10 years old. they are the original tire from rv factory. I would if I could. My trailer came with 15 inch wheels/tires and the axle spacing is set for that combination. The larger diameter 16 inch wheels/tires leave no clearance between the tandem axles. If we traveled extensively it may be worth the expense of having the axles moved apart and buying new wheels and tires. As is it is, we do not put a lot of miles on the rig so it is easier and cheaper to simply drive a little slower when we do hit the road. I don’t know why Alpha put truck tires on my tripple axel but after reading other people haveing so many problems with the ST tires I can now understand why Alpha did put truck tires on the trailer. I know everyone says you shouldn’tnrun truck tires on a trailer but I think they might be wrong. I had a blowout with my 12,000# Keystone Montana (37 ft) on I-81. I was doing 60-65 mph and the LT235/16 radial ripped out my entire RR skirt. I had checked the tires for correct pressure at 80psi several times, so believe heat may have been a factor. From what I’ve read, 65 mph is too fast for 5th wheels. At that speed you’re at the max allowable for the tires, no matter what you’re running. 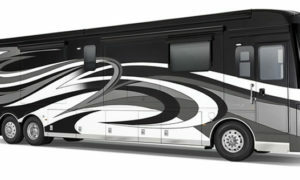 LT tires don’t have the strength for RVs but they will run faster, heating up to the break point. I’m going to run an ST tire with a G-rating if I can find one. Luckily, I do my own RV repair work, for the most part. Big58driver I am a retierd truck driver and I can tell you from expereance that if you are running your tires at max tire PSI. It wont matter what type of tire you put on your trailer the out come will be the same. you would be better off if you would lower your PSI to 60 psi and you will find that after you travel down the road you tire psi will have increased between 7psi to 12 psi leaveing you a with a saefty factor in your favor. I have run my tripple axel alpha cold for 11 years with LT tires @ 60 psi and have neaver had any probblems. I am still running on the original tires. Could not keep 15″ ST tires on my 30 ft. Dutchman. Nankang were horrible as were Chinese Goodyears. Goodyear made in US or Canada were problem free. Changed 3 blowouts roadside & quickly learned to recognize early signs of belt separation and replaced several more. Towed at 55 – 58 mph, tires were properly inflated running 80% of rated capacity. Currently have a 33′ Cardinal that came w/ 16″ LT’s. I bought it used, changed the axles and put on Bridgestone all steel (belts and casing at $250 ea.). So far so good. Into 3rd camping season. Tire failure can happen with any kind and size, but I’d never tow with ST’s on anything weighing more than about 7,000 lbs. Hi! I live in the UK and large trailers as used in the US are not allowed. Only 3.5 tons is allowed with the 50mm tow-ball and surge brakes. The trailer speed limit is 50 mph on normal roads and 60 mph on dual-carriageways. Eighteen-wheelers are all governed by law to 56 mph. This doesn’t slow them down very much as the more powerful trucks will do 56 mph uphill! One of my trailers is a twin axle 3.5 ton that had highway rated Michelin X 600 x 9 tyres. These need 116 psi cold to get the weight rating but I could never get the 116 psi! Over here filling station air-lines are usually limited to 65 psi because of the Health & Safety at Work Act so high pressure tyres are a real pain. Getting 100 psi is not so bad but getting more than that can be an uphill struggle even with a Honda powered compressor (small leaks on the air snake couplings drop the pressure very quickly indeed even with 9cfm) The modern replacement for the 600 x 9 is the 155/70 R12 Special Trailer rated at 900 kilos but IMHO these are not much better than bicycle tyres. 4×4 wheels and tyres are better as some of these will handle two tonnes per wheel however these cannot be used on a “wheels underneath” type of trailer as they are much too big. The UK driving licences issued since 1997 limit drivers to a Gross Train Weight of 3.5T Only old timers like me have the old 7.5T licences. Many young people get into trouble with the police as unless they take additional driving tests they cannot tow a boat or caravan weighing more than 750 kilos or about 1500 pounds in old money. Allegedly there used to be trouble with people who had 7.5 ton licences on “grandfathers rights” driving large motor-homes in Germany as the Germans did not recognise the 7.5 tonne permission. If anyone knows of a good replacement for the 6.00 x 9 please let me know. Thanks in advance from Davey. tires are a problem when the trailer is not aligned to the coupler or kin-pin. i was going thru Goodyear G’s every 10 to 12K until i put Correct Track alignment system on my trailer. My tires run a lot cooler and i have 72K on a set of China Bombs and they still look like new. I do not exceed 65 MPH so check out the CT at camping world or your local dealers. I installed my self. The first guy has got this, in ST 235/75 15 they make a load range d,e & f. Also in ST235/80 16 they make load range E,F & J. Each load range increase adds about 250-350 lbs more per tire max load. You need to go to a truck scale with your trailer loaded for the road and weight the trailer axels to see what your load really is. Then purchase a tire with a load range one or two ratings above your trailer weight and no more problems. Pickup tires in a LT245/75 16 E will haul 3060 lbs at 80psi. a ST235/80 16 needs 110 psi to haul 3200 lbs. Which tire do you think is stronger? 3060 @ 80psi naturally. Hard to find is a Lt245/75 16 load range F or G. but there out there. I have been through the ST E rated nightmare on a 08 5th wheel. I had blowouts and damage to my rig. The tires were loaded with almost no safety factor. Summer driving and interstate speeds lead to blowouts. Switched to Goodyear G ‘s, end of problems. I have a 28 ft mountaineer 5 th wheel that came with LT 235/85r16 tires. People tell me they are truck tires which are the same as my ford dually. Do you recommend replacing them with the same size tire? I personally would recommend replacing with the same size if that is what the manufacturer originally installed. I’m not sure why you would be considering a different size but the primary concern when buying tires for any vehicle is weigh rating so consult your trusted tire dealer for specific advice. Trailer manufacturers began installing LT (Light Truck) tires as trailers got heavier. ST (Special Trailer) tire makers have not kept up with the increase in trailer weights so it is difficult or impossible to find ST tires with sufficient weight ratings for lager trailers. I wish my trailer had LT tires. LT tires have a speed limit of 75 mph if they are on a towed vehicle. Doesn’t matter what the tire sidewall rating says — Y,Z, or whatever. If it is in a towing position the limit is still 75. Greenball Towmaster makes load range E tires for 15 inch rims, max 80 PSI. I verified my rims could hack the PSI first as well. Swapped to these when my D rated tires blew. I picked them up through Costco and put them on a Toyhauler that runs 9K empty on the axles, max when I’ve got water, gas and quads, beer etc. So far so good. Mostly run 60MPH – I think that saved my exterior when the tire blew, but more likely the way it blew – perpendicular to the tread and became a big flapping snake. I also, move the trailer at least once a month to avoid flat spots if we’re not camping, and always have tire covers when parked to avoid sun damage. Put some 303 on the tires as well for added UV protection – I never use tire dressing for cars. Around about 1995 I changed the 10 year old weather cracked bias ply tires on my travel trailer to St Radials. Since then I have replaced maybe 10 sets of tires on three trailers. ST radial tires are pure crap. I have tried maybe four different brands. Some better some worse but I am lucky of I get a full three years out of them. Some were made in the USA some in china. None were any good. I use to drive the speed limit 70 mph. That was with the bias ply tires. Since radial I have set the maximum speed to 60mph. That does not keep them from failing but most of the time I can detect the thread separation before they explode. Something needs to be done about TRAILER tires they are dangerous. I10 has a 75 mph speed limit. Some traffic is pushing 80 mph or higher. I am going 60 mph. How safe is that? For some of you full time RV’ers, there are Radial Trailer Tires available. These handle higher speeds as they’re more similar to automotive tires. They will last longer for the extended mile put on them by frequent travels. For the occasional travelers, stay with the ST’s because they last longer than Radials do when they sit 10 to 11 months of the year. I have a small utility trailer (harborfreight foldable) and last year after driving about 700 miles the curbside tire was about to blow. Last section of our trip I drove a bit faster (up to 70mph) with a heavy trailer but still about 200lbs under its rating. A 700 mile trip doing just 55mph, what the tires are rated for, is just taking too long with stops etc. Because of the 55mph limit we took some two-way highways what made the actually 20 miles shorter than the fastest route. It looked like the tire had a bulge that was sanded down flat leaving just a little bit of rubber that was almost pinchable with your finger. Strange thing i didn’t see any threads. Thank you for taking time to contribute to the coversation, Dave. Good information. I have pulled 32′-40′ fifth wheels for 21 years and have learned plenty along the way….the hard way. Like many, I have had horrendous blowouts and most ended up being my own fault due to under-inflation, excessive speed, old tires and improper storage. 5. Weigh your rig to get weights on each axle, pin weight and weight on your truck rear. I pay for 2 weight tickets. On the first I weigh the RV hooked up, that gives me trailer axles, truck rear loaded and truck steer. On the next weight, I weigh the truck detached with the entire RV dropped/detached on the 3rd pad. This will give trailer total weight and truck front and rear empty. I weigh with water tank and fuel full. In summary, go 65MPH, inflate to max pressure, store on wood, weigh your trailer and upgrade your tires to higher LR. Never ever go over 5 years with your tires! Thanks for your input Rob. It is very much appreciated. Being Prepared: What should you carry?